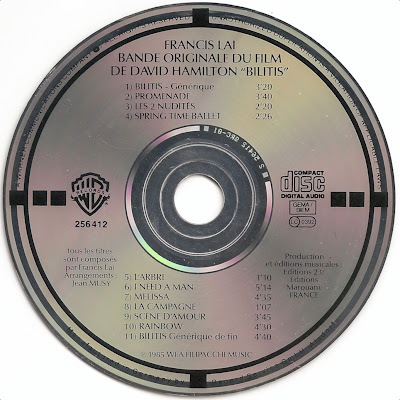 Target CDs that were pressed in France, can be found with or without a text in the plastic center. 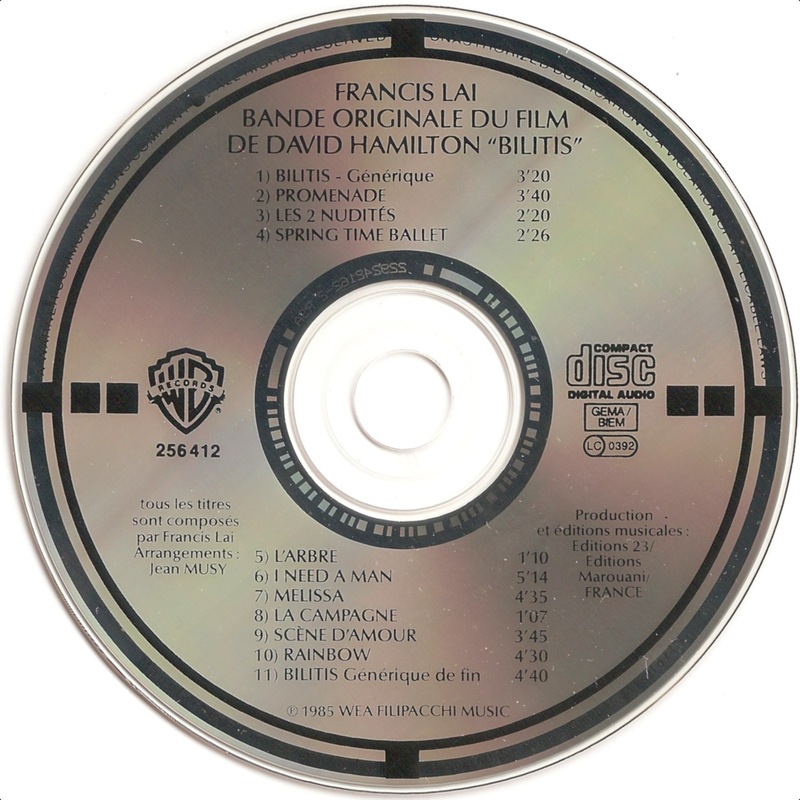 Recently I acquired a French pressing of the Original Soundtrack of David Hamilton's movie Bilitis. 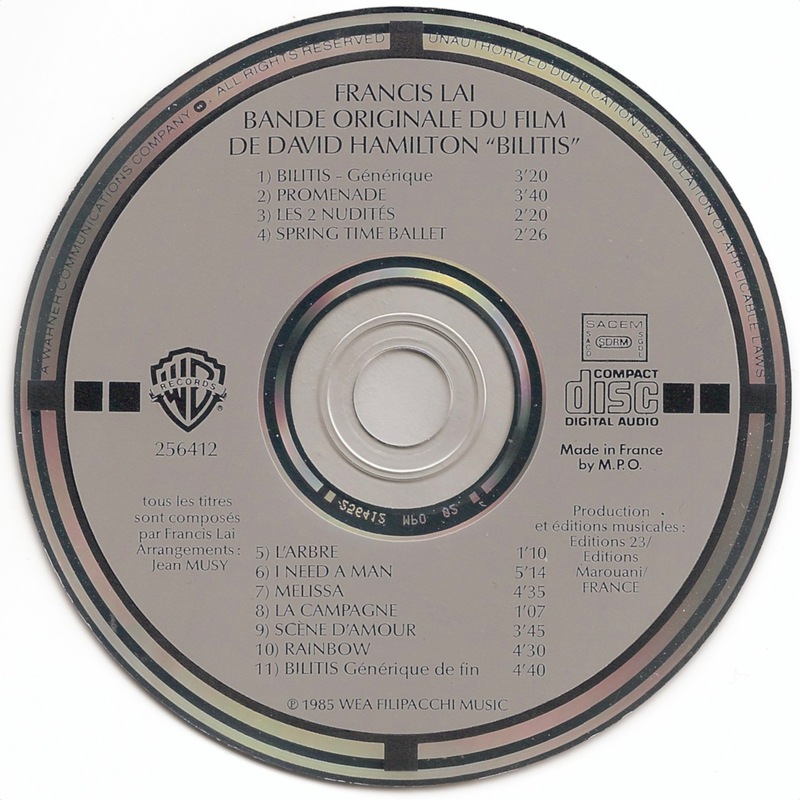 Unlike the variation I already had and that has COMPACT DISC MPO FRANCE 02 stamped in the plastic center, this CD has no text. Talking about Bilitis: in a previous post I mentioned that I was aware of only two Target CDs (Chicago 17 and Calicoba) that exist with either a full silver or a plastic center and that are otherwise identical. I was wrong of course. The variation of Bilitis, made by Record Service in Alsdorf, is also available with either a full silver or a plastic center.